New Jerusalem is the consummation of everything positive in the Bible. 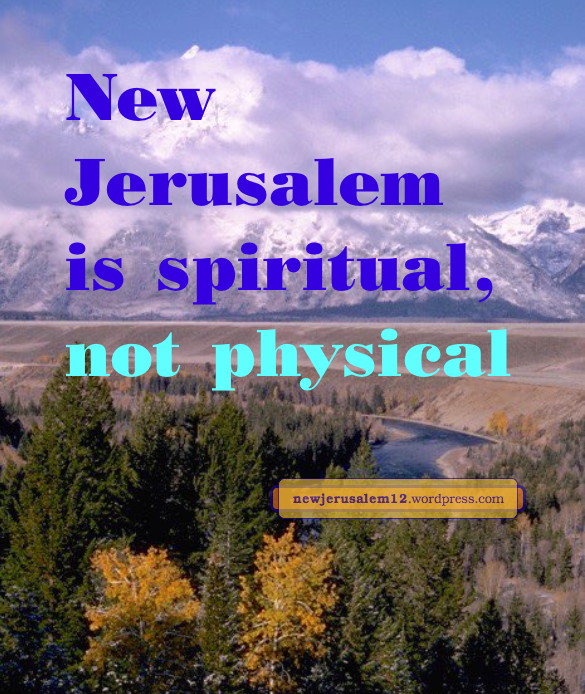 Here is a third post about New Jerusalem from Stefan’s blog, agodman.com. It begins, The New Jerusalem, the holy city, is the universal golden lampstand, the ultimate consummation of the lampstands in the Scriptures. Excerpts from Stefan’s post: Throughout the Bible there’s the mentioning of the lampstand. First, in the tabernacle in the wilderness with Moses, there was a golden lampstand in the Holy Place; this lampstand signifies Christ Himself as the embodiment and shining out of God (Exo. 25:31-37). 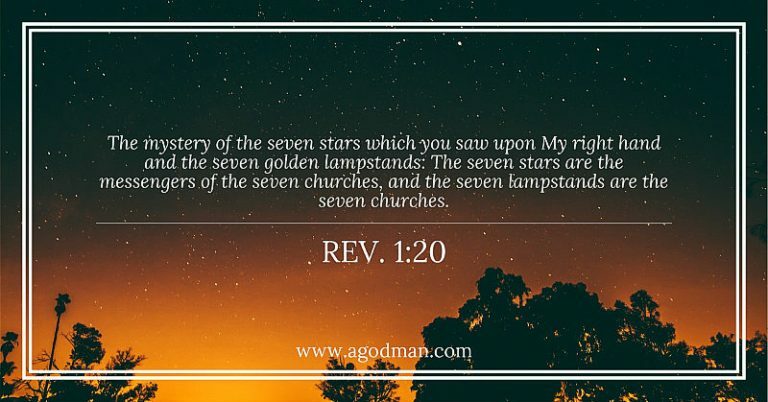 In the New Testament we also see the lampstands – the Son of Man is walking among the seven golden lampstands in Rev. 1:12-20; these lampstands signify the churches, the local churches. Read all of New Jerusalem is the Universal Golden Lampstand, the Ultimate Consummation of the Lampstands with graphics, references, and hymns. Stefan’s other two posts in this cluster are New Jerusalem is a Corporate God-man, the Consummation of the High Peak of Revelation and The New Jerusalem is the Real and Consummate Shulammite, a Corporate Shulammite. ps: A God-man is a man in whom God in Christ dwells. In John 14:20 the Lord Jesus told us that after His resurrection we “will know that I am in My Father, and you in Me, and I in you.” Our being in Christ and Christ being in us is the reality of a God-man, but we are NOT part of the Godhead. This building is growing unto New Jerusalem. 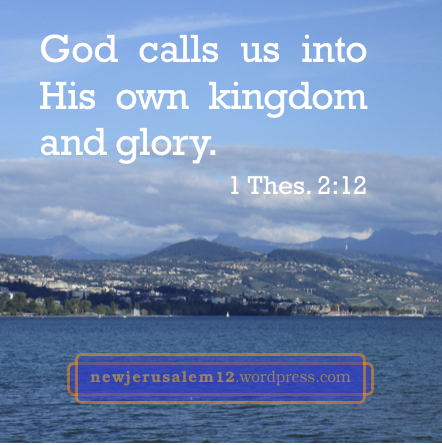 New Jerusalem is a city “having the glory of God” (Rev. 21:11). Romans 16:27 says, “To the only wise God through Jesus Christ, to Him be the glory forever and ever.” Because the glory here is forever it points to New Jerusalem. Because this glory is the conclusion of Romans, it shows that the whole of Romans looks to New Jerusalem. After writing the prior post, I began to wonder how often “glory forever and ever” is in the New Testament. Here are those written by Paul (Peter and John in later posts). Philippians 4:20, “Now to our God and Father be the glory forever and ever. This eternal glory dwells in and is expressed by New Jerusalem, because New Jerusalem, as the conclusion of the Bible, is the consummation of all positive things in the Bible. Additionally, Hebrews 1:8 says “But of the Son, “Your throne, O God, is forever and ever…” This eternal throne is “the throne of God and of the Lamb” in New Jerusalem (Rev. 22:1, 3). One throne for both God and the Lamb also bespeaks their oneness. To paraphrase the verses above, Glory be to our God and Father both now in the church and eternally in New Jerusalem. During His earthly ministry the Lord Jesus spoke about one flock with one Shepherd (John 17). Before His death He prayed for our being perfected into one (John 17). On the cross He created one new man (Eph. 2:12-15). Verses from Romans 12 to Colossians 3 also speak of our being one Body in Christ. All of this culminates in the one city, New Jerusalem, as the center of the new creation to express the one God. 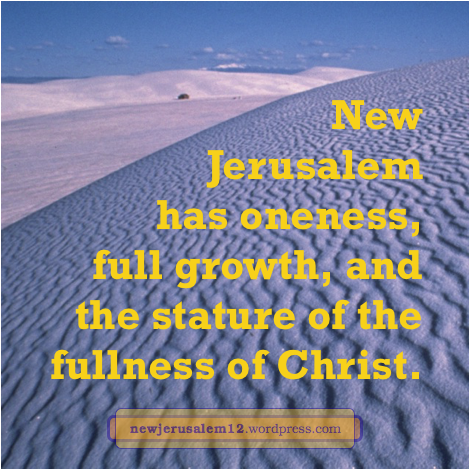 This post has a highlight and verse from this series of posts on New Jerusalem as the consummation of the New Testament oneness in Christ. The first two words of each highlight is a link to the post. 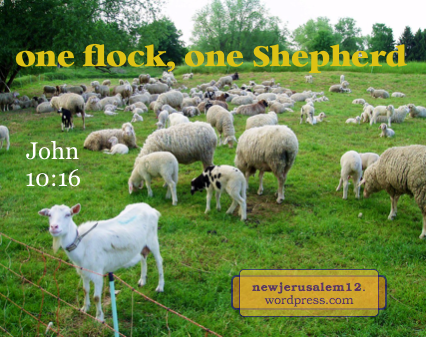 ❖ The first definite word in the New Testament about our spiritual oneness is “there shall be one flock, one Shepherd” (John 10:16). ❖ In His death on the cross, Christ created one new man in Himself (Eph. 2:14-15). ❖ Our oneness is at the level of the Triune God’s oneness; Jesus asked the Father, to keep us, His disciples, “that they may be one even as We are” (John 17:11). ❖ Jesus prayed again for us to have the divine oneness; “That they all may be one; even as You, Father, are in Me and I in You, that they also may be in Us” (John 17:17, 21). ❖ Thirdly, Jesus prayed “that they may be one, even as We are one; I in them, and You in Me, that they may be perfected into one” (John 17:23). ❖ Jesus prayed that our oneness would be perfected so that we can be a testimony that “the Lord our God is one Lord” (Mark 12:29). ❖ The Spirit is our entrance into and our participation in the One Body. “In one Spirit we were all baptized into one Body…and were all given to drink one Spirit” (1 Cor. 12:13). ❖ Our participation is also by partaking of Christ in His death and resurrection. “We who are many are one Body; for we all partake of the one bread” (1 Cor. 10:17). ❖ In Christ Jesus, both now and in New Jerusalem, all the natural distinctions which divide fallen man are annulled. We “are all one in Christ Jesus” (Gal. 3:28). The oneness in the Triune God (John 17) has, through death and resurrection, become oneness in Christ, the embodiment of the Triune God (Col. 2:9). Today we are experiencing what is in these verses. When New Jerusalem appears His prayer in John 17 will be fully answered and we will arrive at the peak of oneness. 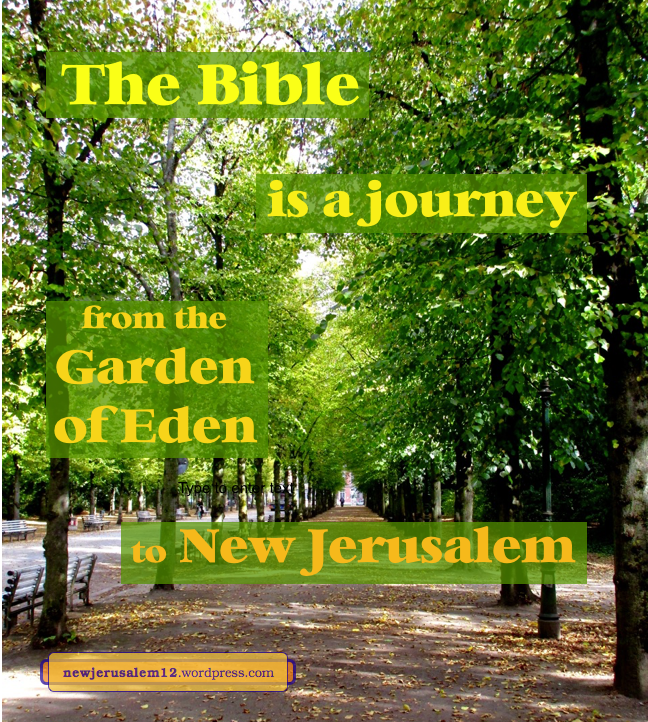 New Jerusalem is God’s consummation of everything positive in the Bible. Recently the Lord caused Ephesians 4:13 to rise up in me and I realized that its goals correspond with New Jerusalem. 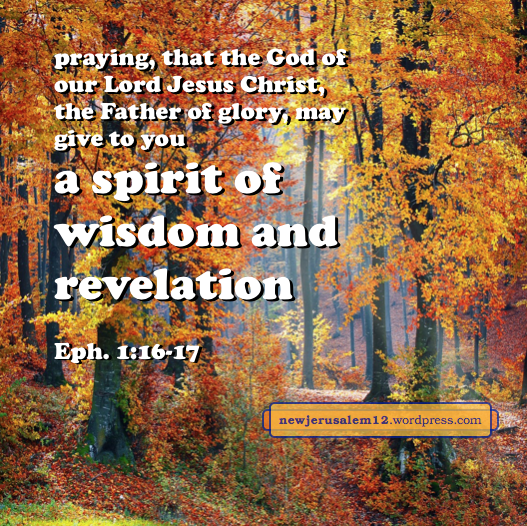 Ephesians 4:11 says that the ascended Christ gave gifted members to His Body. In verse 12 these gifted members are “for the perfecting of the saints unto the work of the ministry, unto the building up of the Body of Christ.” We all need perfecting so that we all participate in the ministry. At present we are still in the process of arriving at these goals. In contrast, New Jerusalem is the full expression of verse 13. 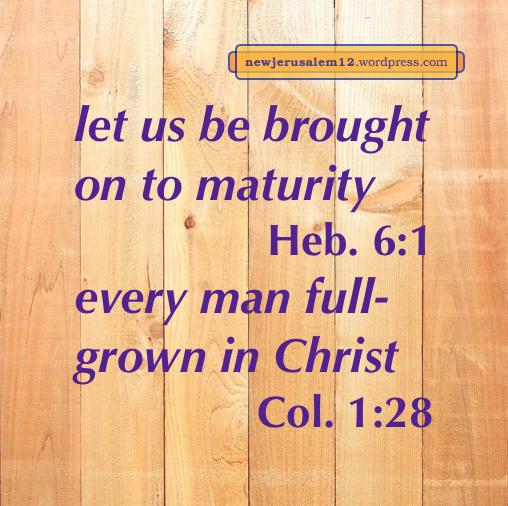 New Jerusalem is in oneness, it is full-grown, and it has the full stature of Christ. In a recent week one of my morning verses was 1 Thessalonians 2:12. This verse speaks of “God, who calls you into His own kingdom and glory.” Because of my interest in New Jerusalem, this verse touched me. The context of 1 Thessalonians 2, and the word “walk” earlier in verse 12, indicate that Paul is speaking about our present Christian life. Today we are in the kingdom of God, as in Romans 14:17 and Revelation 1:9. This is the inward spiritual reality of the kingdom which has not yet been openly manifested. We also experience God’s glory, as in 2 Corinthians 3:18 and 4:6. Like the kingdom, this glory is an inward spiritual reality which has not yet been openly manifested. Today we are in God’s kingdom and glory, not by our effort but because God calls us. Thank Him for this wonderful invitation! When our Lord returns both His kingdom and His glory will be publicly manifested. One verse about this is Matthew 25:31 which says that “He will sit on the throne of His glory.” This kingdom and glory will persist through the coming age. One expression of this time is Revelation 20:4-6. Ultimately, the kingdom and glory into which we are called will be New Jerusalem. New Jerusalem is the consummation of God’s kingdom. The throne of God and the Lamb (Rev. 22:1, 3) will be the center of New Jerusalem and we, God’s slaves, will reign with Him forever (Rev. 22:3, 5). 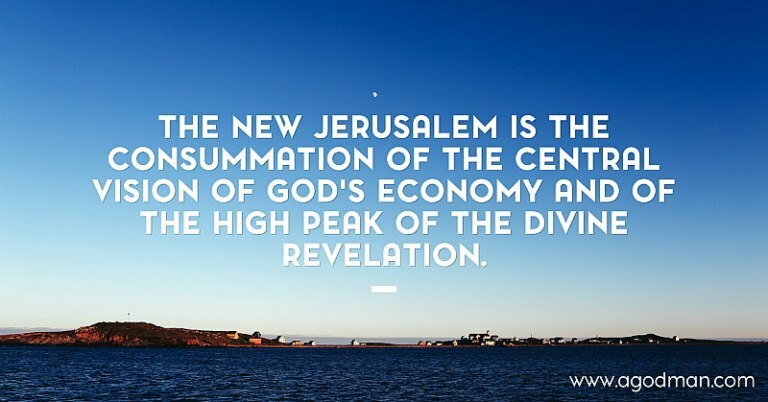 New Jerusalem is also the consummation of God’s glory. The city “having the glory of God” (Rev. 21:11) will express God to the whole universe. This is the ultimate outcome of God’s calling us into His kingdom and glory. The prior post focused on the consum-mation of Old Testament twelves. In the beginning of the New Testament there are twelve apostles (Matt. 10:1-2, 5). Paul was also an apostle and laid a foundation by proclaiming Christ (1 Cor. 3:10-12). Ultimately, on the foundations of New Jerusalem are “the twelve names of the twelve apostles of the Lamb” (Rev. 21:14). The raising up the dead twelve-year-old girl in Mark 5 foretells that eternally there will be no death in new heaven and new earth (Rev. 21:4), the site of New Jerusalem. The twelve handbaskets of bread in Mark 6, portray the abundant richness of the tree of life with its twelve fruits in New Jerusalem. The church began with 120 (ten times twelve) people praying (Acts 1:12-15). The universal church grew from them to include all God’s New Testament people, all of whom will be in New Jerusalem. The “hundred and forty-four thousand, sealed out of every tribe of the sons of Israel” (Rev. 7:4-8) and the hundred and forty-four thousand firstfruits (Rev. 14:1-5) also point toward New Jerusalem since one hundred forty-four is twelve times twelve. 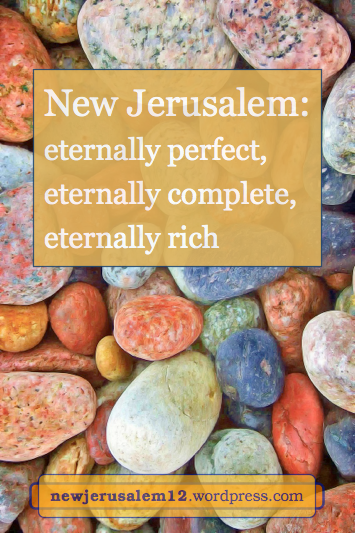 New Jerusalem, characterized by twelves, is eternally perfect, eternally complete, and eternally rich. New Jerusalem is the ultimate manifestation of “the unsearchable riches of Christ as the gospel” (Eph. 3:8) and “the bountiful supply of the Spirit of Jesus Christ” (Phil. 1:19). Lord, perfect us with Yourself for New Jerusalem.